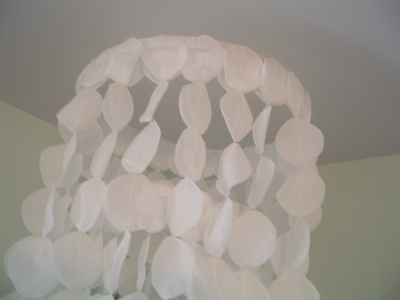 Want to make a Rose Petal Chandy of your very own? Oh yes you can and with just a few rose petals and a sewing machine. This is great for any teen or kid room. 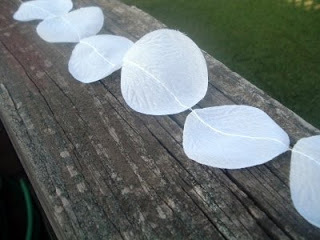 It would even be great as DIY wedding decor. Wanna know how to make it? Oh and your sewing machine. 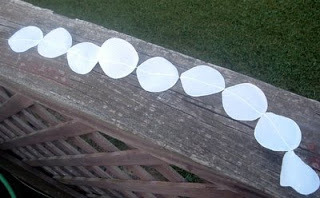 Yep I sewed each and every one of those petals. 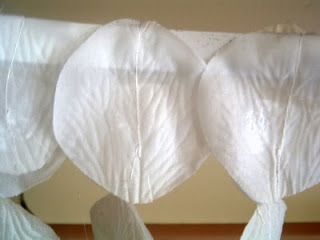 I sewed them in strands of 9 petals each. Leave a little space between each petal. Makes it more “flowy” when you get done. Your sewing does not have to be perfect. I tried getting them all in the same direction, etc. But they are not all the same. No one is going to climb up and look at this once you have it hanging from the ceiling. 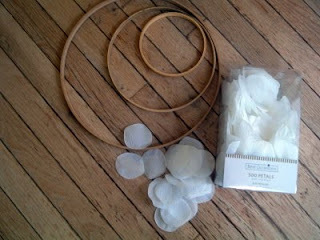 Sew lots and lots of strands together. 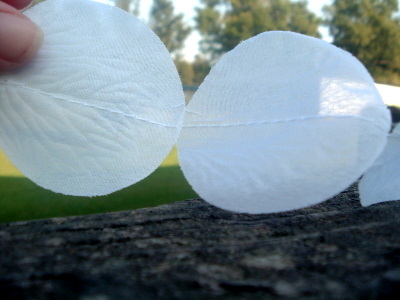 I used around 400 petals total. Yep 400. Sew your little heart out. The secret to holding this while you are glueing on your strands of petals? Keep glueing them on til it is all filled up and looks just how you want it! I would glue some on, then go sew some more, then glue more on, sew some, etc. That way I did not end up with any extra strands at the end. No sense in doing any extra sewing! 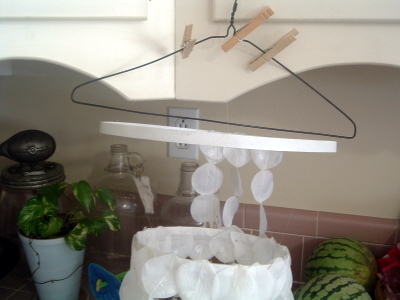 Hang from a hook on your ceiling. I used the fishing line tied in a knot at the top and just slipped it over the hook a few times. I am so pleased with how it turned out!! I think this could be for any girl’s room. Baby to teenager! Y’all let me know if you make one and send pics! I would love to see em! 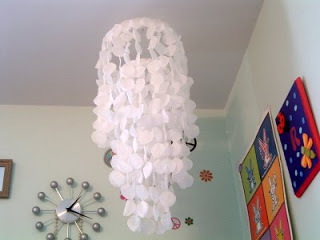 Plus check out our other ideas on decorating teen and kid rooms and even more DIY wedding ideas. ok, you are just to talented and creative!!! so cute. yay, I guessed right. I just knew that had to be yours, it’s so pretty. Congratulations! I’m excited for you. This is too precious…this will look great in my daughters room! I am a new follower and look forward to more great posts from you! I loved this – it was my pick! Whoa! Great job! Looks very fabulous! I have a big favor to ask of you, recently I had a post on some weight that I lost and now there is a contest and I am in it. You win by getting the most votes so I really need your vote! Could you please go to my blog and follow the directions to vote? I can’t thank you enough! Just click below and then vote!!! Stopping by from Someday Crafts! I love this 🙂 Probably because I made one that looks just like it a while ago but out of milk jugs instead of petals. Your version seems less labor intensive though, gives me ideas 🙂 Great job! That is so cute! And easy!! Oh my word! Holy Toledo! Just fantabulous! Wow! This is amazing! I wish I could sew, unfortunately I can’t even mend a sox! Great job! Super Cute and Super Chic I LOVE IT! Wow…I love it! And so will my teen daughters! Não sei se aqui no Brasil encontramos essas pétalas, mas ainda assim amei a ideia. Vou guardá-la para usar assim que possível, e vou colocar um link no meu blog para o seu, falando sobre essa luminária, ok ? totally loving this!!! i am so excited i might just rip out my girls ceiling fan right now and put this adorable thing up instead!!! totally genious!!! 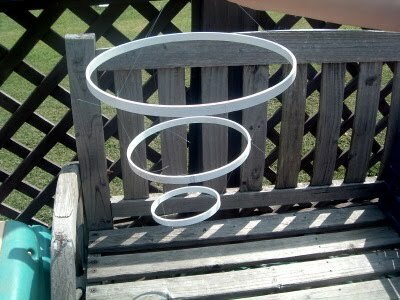 I’m in the middle of making this right now! 🙂 If i think i will make it with the pink petals next time! 🙂 I’ll share pictures when finishd! I LOVE THIS! 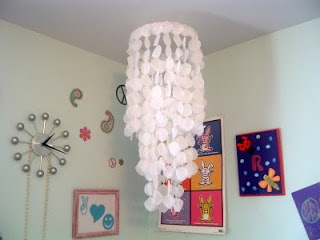 I have been looking for something like this to hang in my daughter’s room! LOVELY!! This is so cool, Angie! It’s perfect for a girl’s room or a patio, so light and airy. 400 petals!? It looks like a lot of work but worth it in the end – it turned out so pretty! Such a cute idea! 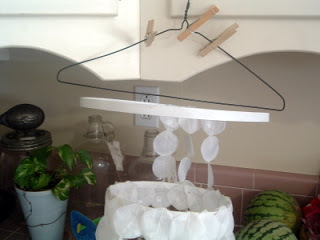 I love finding fun sewing projects using stuff other than fabric! thanks for showing this project!!! 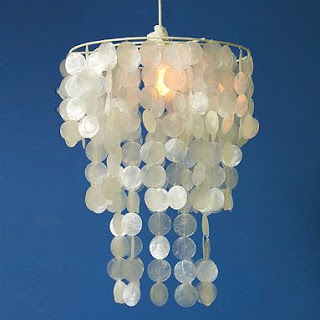 I am currently trying to figure out how to make a capiz shell (short) chandy for our office- this makes a lot more sense than what I was thinking of doing! Thanks for sharing! found you through the CSI project! Hi! I hope you don’t mind, but I copied your idea. I posted it on my blog and linked my readers back to you. Thanks!!! You are a genius, Angie! Just stumbled this… and I think it is darling! I love it and woman you are soooo smart! This is WONDERFUL, you absolutely nailed it! Really great job dear! What are your recommendations for making this on a larger scale? I love this but i am not for sure about the measurements. I am wanting to use this for my wedding alter. I was thinking instead of 9 rose doing 18… thoughts? I would go with two tiwers instead of 3. A medium and small. Skip the large. I think it would still look gorgeous but be smaller! I love this Angie! You did a great job recreating this. I’m so crazy about this project!! It’s a perfect wedding detail for brides on a budget. Thanks for the idea! Love this!!!! Great job girl!!! This looks amazing! I can’t believe that it’s made out of rose petals. This face intrigued me so much I just HAD to click over from the CSI Project. 🙂 Nicely done!